FOUR YEARS after the murders, people still mainly want to know — who did it? But by now the Aarushi-Hemraj case has become so entangled that there is no easy way to get answers. The truth lies in the details. Let’s begin with the basics. 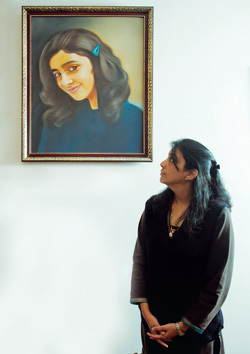 The murder victims: Aarushi Talwar and her family’s domestic staffer Yam Prasad Banjade, aka Hemraj, were murdered on the night of 15 May 2008 inside the family flat in Noida, UP. Aarushi’s body was discovered on 16 May while Hemraj’s body was discovered on 17 May. The CBI’s suspects so far: 1. Dr Rajesh Talwar (Aarushi’s father) 2. Krishna Thadarai (Rajesh’s dental clinic assistant) 3. Raj Kumar (domestic staffer with the Talwars’ friends Drs Praful and Anita Durrani, who lived nearby) 4. Vijay Mandal (another domestic staffer in the Talwar neighbourhood). Hemraj, Krishna and Raj Kumar had all been recruited through the Talwars’ previous domestic staffer, Vishnu, and were friends. The CBI proposed to close its investigation in December 2010, stating that it considered Rajesh Talwar guilty but didn’t have enough evidence to charge him with the crime. The CBI court then shockingly ordered that not only Rajesh, but Nupur Talwar also be tried for murder, criminal conspiracy and destruction of evidence. As this goes to press, Nupur has been denied bail by the sessions court in Ghaziabad and is in Dasna jail (unlike the CBI’s four other suspects, all of whom were given bail). The parents’ Supreme Court appeal to overrule the CBI court is still pending. Part of the mystery of this case has always been that it seemed to be like an Agatha Christie locked-house murder, and the CBI court order against the Talwars also concludes that there couldn’t have been any outside intruders that fateful night. The court bases this on the understanding that the house was secure without any sign of forcible entry and no robbery accompanied the murders — but doesn’t account for the fact that Hemraj’s room inside the Talwars’ flat had an independent door to the outside world. The order also quotes the domestic maid’s testimony that she found the house latched or locked from outside the morning after the murders — so someone must have exited the house and locked the parents inside their home. The CBI has also not explained some of its other mystifying claims, such as how its ‘experts’ concluded that Aarushi was killed by someone close to her, or why they believe that the door to Aarushi’s room was open when she was attacked. 1 WHY IS the CBI ignoring alarming evidence from its own investigation, such as the forensic report confirming that Hemraj’s blood was on a pillow cover seized from Krishna’s room? While it has offered an extensive report on its investigation of Rajesh Talwar, why is the CBI not revealing any details of its investigation of its three other suspects despite the strong clues of their involvement? 2 WHY DO Raj Kumar’s former employers Dr Praful and Dr Anita Durrani claim that the CBI is misrepresenting their testimony about Kumar’s alibi the night of the murders? They claim that Kumar was free of all duties by before midnight on the night of the murders, and that his bathroom was outside their house’s main back door so he could come and go whenever he wanted.